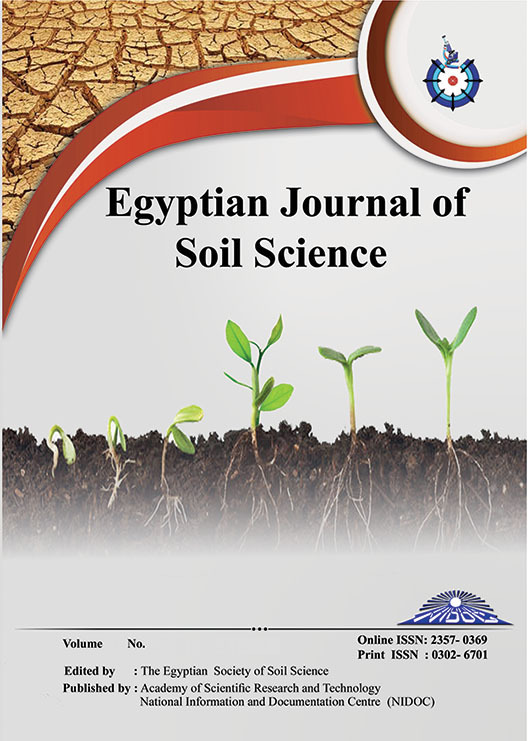 2Soils and Water Dept., Faculty of Agriculture, Assuit University, Egypt. 3Water Req. and Field Irrig. Res. Dept., SWERI, Agricultural Research Centre. The seasonal average quantity of irrigation water applied to peanut plants was 754.8 and 943.5 mm which equals 80 and 100% of pan evaporation, respectively. The crop evapotranspiration of peanut was 858.8 and 783.6 mm in the first and second seasons, respectively, as calculated by Penman-Monteith equations. Peanut yield and yield traits were significantly increased with increasing the levels and doses of phosphorus fertilization. The highest values of WUE and IWUE were obtained from the highest level of phosphorus fertilization under irrigation with 80% of pan evaporation.